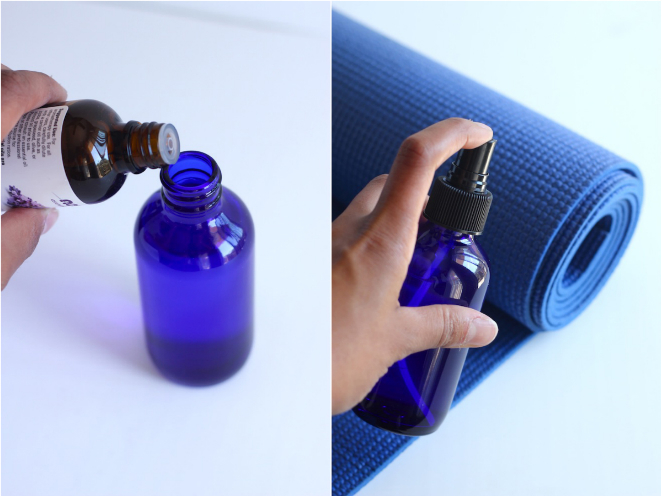 Fill your bottle 3/4 full with distilled water, and then add essential oils. 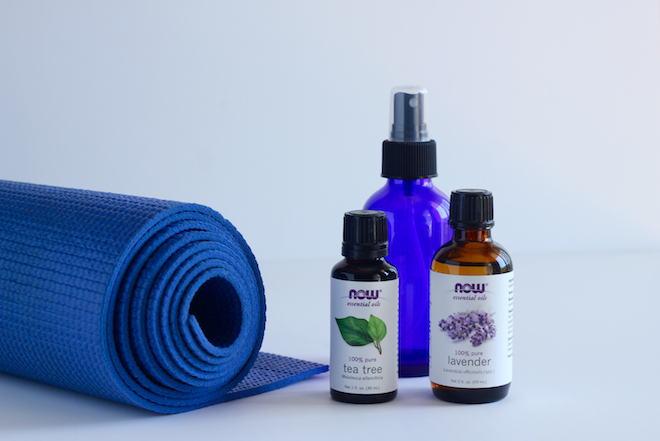 For my mix, I used 35 drops of lavender and 10 drops of tea tree oil. (Store your oils in the fridge to keep them fresh.) Tea tree oil has disinfecting properties, but if you want to get extra clean, add vinegar or a non-alcohol version of witch hazel. 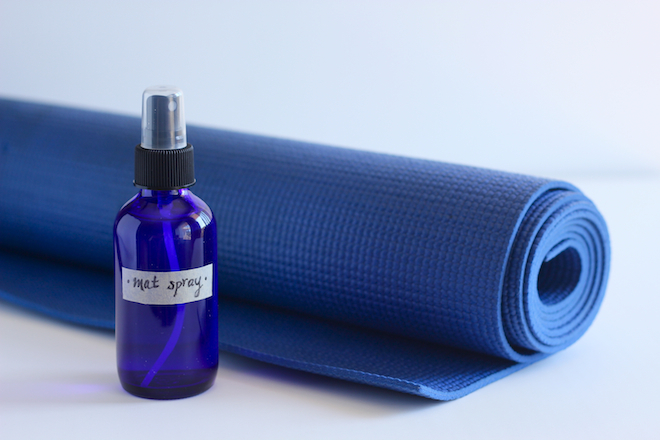 Spray your mat, let sit for a few minutes and then wipe it dry. All that for about $25, and so much leftover ingredients that I’ll be able to make plenty more sprays. Enjoy! I can relate, it’s so unsightly but I sweat a lot when I exercise. Though, it sort of makes me feel like I accomplished a lot when I do.lools. This is a great idea, and I might just make a couple of sprays for myself. Can this be used in any surface?